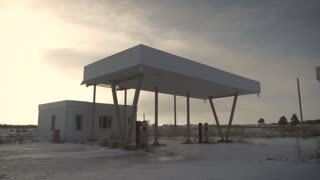 View of derelict gas station next to the road in a winter. 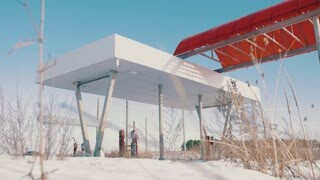 Abandoned Petrol Station with No Fuel signs covering the pumps, victim of the economic crisis. The historic route 66.